NEWARK, N.J. (CN) – An attorney for Senator Robert Menendez scoffed that prosecutors still plan to retry the New Jersey Democrat after a federal judge tossed seven of 18 charges that deadlocked a jury last year. The Jan. 24 opinion and order by U.S. District Judge William Walls says prosecutors failed to meet their legal standard to prove quid pro quo related to the charges, which included one for honest-service fraud involving a $300,000 donation the doctor made to the Senate Majority political action committee that was earmarked for New Jersey. 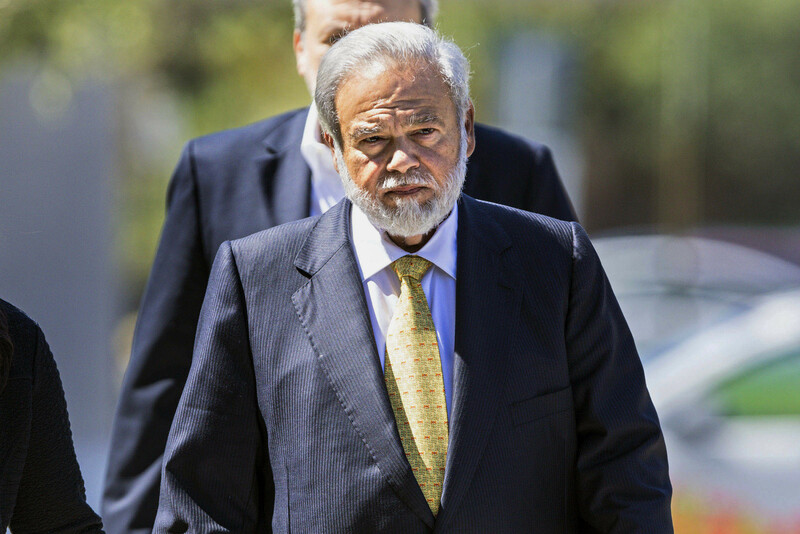 Salomon Melgen, a Florida eye doctor being tried alongside Menendez, also had several of his charges dropped. Among the charges dropped were six counts bribery and one count of wire fraud. Eleven charges of bribery, conspiracy and fraud remain. “The government asks the court and a jury to fashion speculative inferences under the conclusory generalization of context, chronology, escalation, concealment, and a pattern of corrupt activity — each of which is empty of relevant evidential fact,” Walls wrote in the 53-page opinion. In 2015 Menendez was indicted on 12 counts of corruption, half of which involved alleged bribery in relation to alleged favors he did for his friend and Melgen, a Florida ophthalmologist who now also faces a new trial. Last week the Justice Department announced it intended to retry the New Jersey Democrat after the two-month corruption case ended with a deadlocked jury in November 2017. Prosecutors asked for the “earliest possible date” for a retrial. 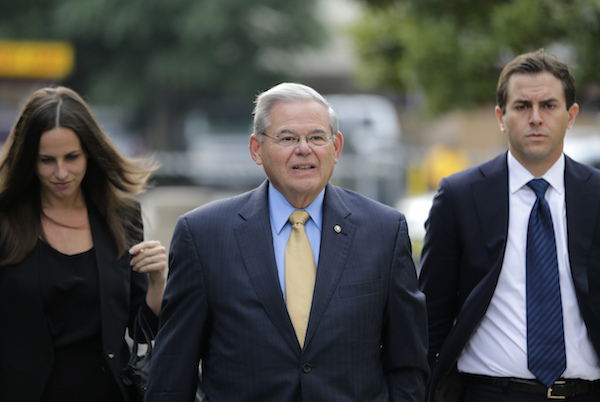 Prosecutors allege that from 2006 through early 2013 Menendez received rides on Melgen’s private jet, rooms at luxury hotels, a stay at Melgen’s posh villa in the Dominican Republic, and nearly $750,000 in campaign contributions in exchange for political favors. Among those alleged favors were obtaining visas for Melgen’s girlfriends and attempting to help Melgen with a major Medicare billing dispute. Melgen was convicted last year for Medicare fraud involving nearly $9 million. Menendez allegedly helped Melgen with his Medicare fraud case, calling up top officials at the Department of Health and Human Services, including Kathleen Sebelius, then secretary of HHS. Sebelius had testified during the trial that it was unusual for her to be involved in a billing dispute, and another staffer testified that Menendez had become angry during the meeting when the matter was not resolved. Walls noted that Menendez may have been frustrated, not over Melgen’s specific case, but that concerns he had voiced in 2009 over the multidosing policy at the Centers for Medicare and Medicaid went unheeded. Attorneys for Menendez argued that interbranch lobbying — a senator talking with an appointed department head — could not form the basis of an official act for the purposes of proving quid pro quo. In the ruling, Walls found that the timing of Melgren’s donations to Menendez in and of itself did not prove bribery. “A close temporal relationship between political contributions and favorable official action, without more, is not sufficient to prove the existence of an explicit quid pro quo,” Walls wrote. Regarding the $300,000 donation, Walls found nothing to connect the donation to any specific official act, even though Melgen sent the senator information regarding the Medicare billing appeal around the same time. Walls also noted Menendez’s advocacy on behalf of Melgen ended with the 2012 meeting with Sebelius. In his order, Walls wrote that he would not preside over the retrial. Menendez is up for re-election for his third term in the fall and reportedly has support from state and national Democratic leaders. Walls has not yet ruled on that motion. One of the jurors reportedly said the jury was leaning toward acquittal before becoming deadlocked.